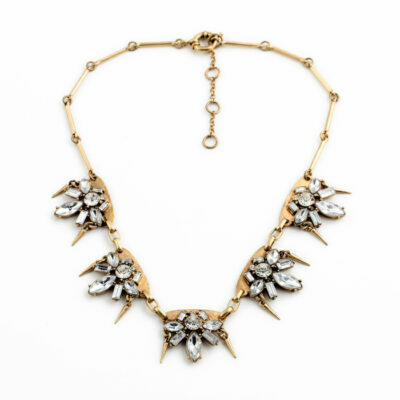 Get your daily quota of sparkle and glamour with this gorgeous Angel Face Statement Necklace from Rock & Rye. 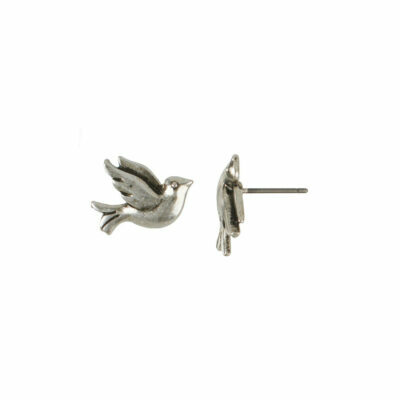 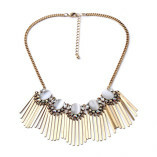 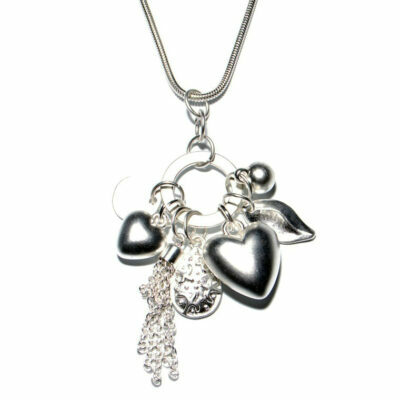 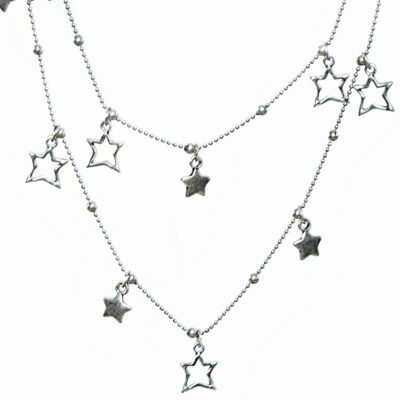 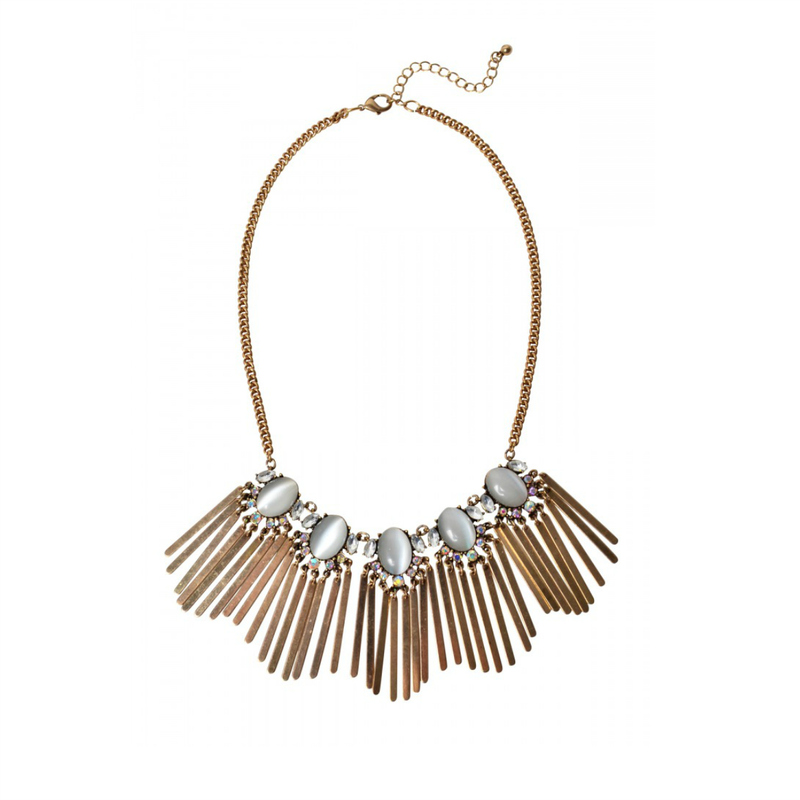 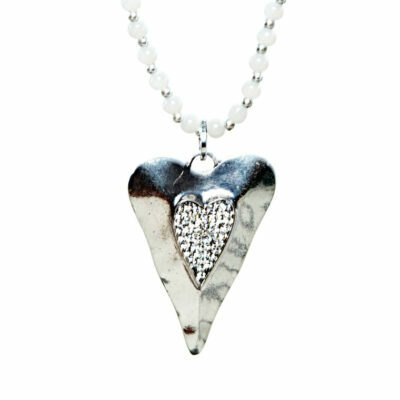 Perfect to dress up daytime casual wear or for nights out, this necklace is sure to turn heads whatever the occasion. 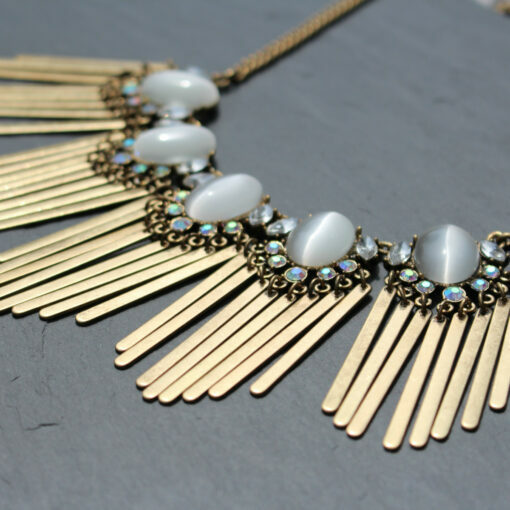 Both delicate and detailed in design this necklace features five pendants descending by matt antique gold fringing and inset with grey/white toned opaque opal epoxy oval stones, highlighted by marquise cut clear crystals and stunning sparkly round AB crystals. 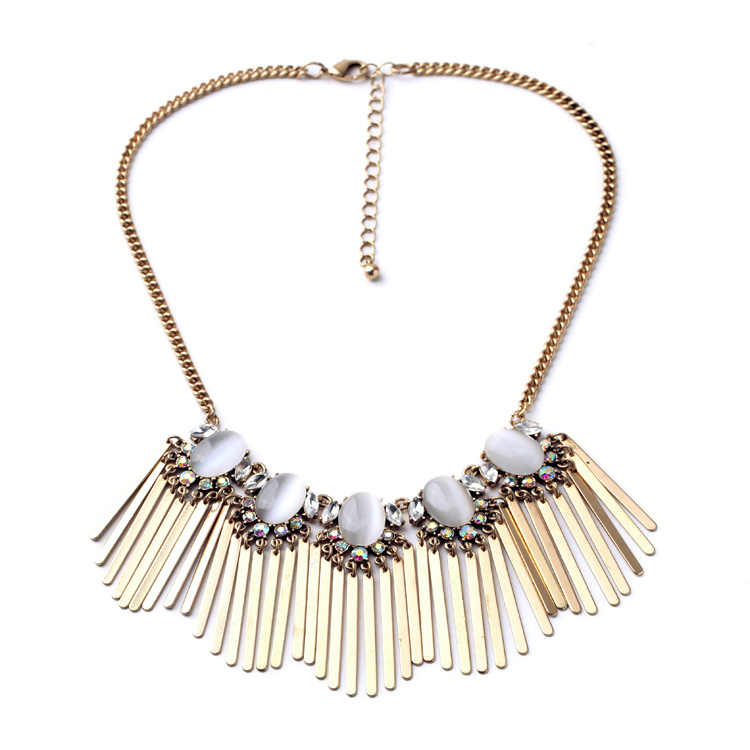 Light up your look with this beautiful necklace!